We sell ideas that stretch! Our natural rubber bands are high quality rubber bands manufactured in a large number of sizes and colors. 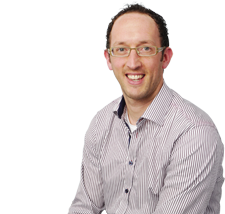 We produce any rubber band specification from 10 kg within a very short lead time. 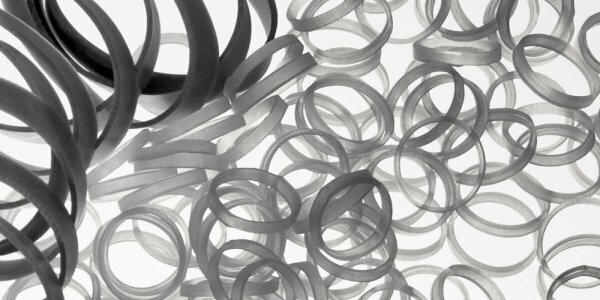 H+D processes first grade natural rubber to produce highly esthetical, durable rubber bands in black color. Buy black rubber bands in an extensive range of diameters and widths directly from the manufacturer! 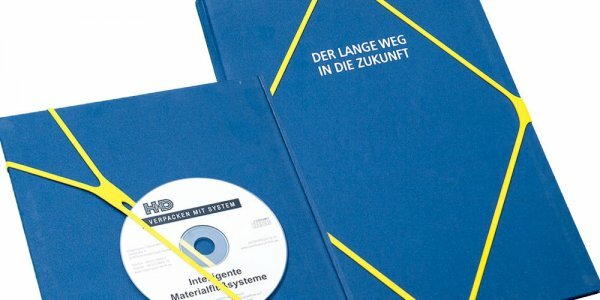 H+D LatexFree® rubber bands contain no natural rubber proteins and thus help to avoid allergic reactions. Non-latex rubber bands are recommended for pharmaceutical or medical applications or where allergic reactions are unknown. Latex free rubber bands are available in various colors and sizes. 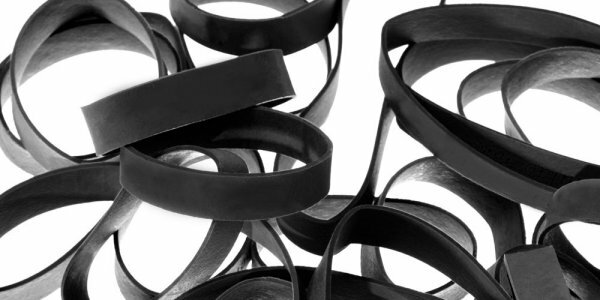 H+D LongLife® rubber bands are made from synthetic rubber called EPDM. They are resistent to many environmental influences such as UV, ozone, acids and temperature. 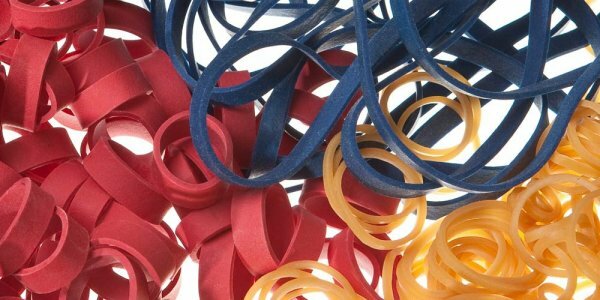 All our synthetic rubber bands are manufactured custom in various diameters and cutting widths. Very short lead time! H+D Silicone is an ideal elastomer for use in hundreds of applications throughout the industry. 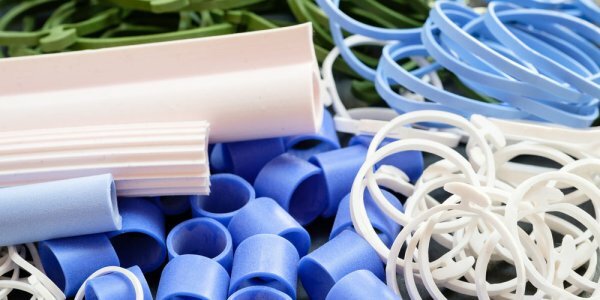 H+D is specialized in producing small and large lots of extruded silicone using application-specific compounds. 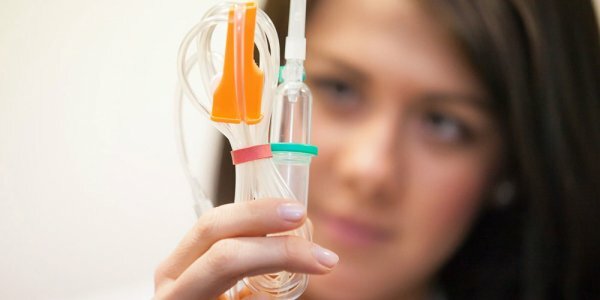 We develop unique recipes relevant to the end use of the product with specific durometer, color, and performance characteristics. 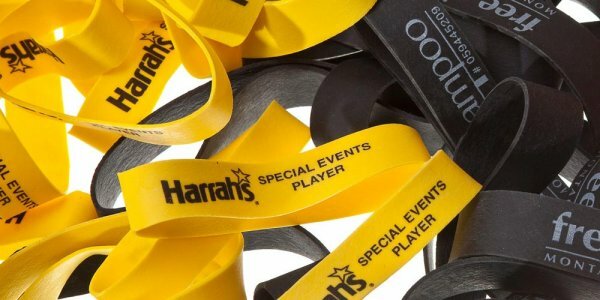 H+D InfoStraps are imprinted rubber bands to personalize promotions and packaging. Let us develop innovative solutions for your next campaign by creating an unique printed rubber band that will exceed your expectations. Imprinted rubber bands stretch your ideas! Pallet bands are oversized rubber bands. They are economical and easy to use and secure all types of pallets during in-bound transport and storage. Pallet bands are ribbed for extra holding power, reusable and available in many sizes and colors. X-Bands are extreme file bands made from synthetic rubber. File bands secure catalogs, folders and magazines as well as frozen food packs or litter box liners. With their extreme elasticity file bands adapt to almost every product surface. File bands are available in different colors. H+D delivers natural and synthetic rubber bands in much more colors than just the typical natural brown color. 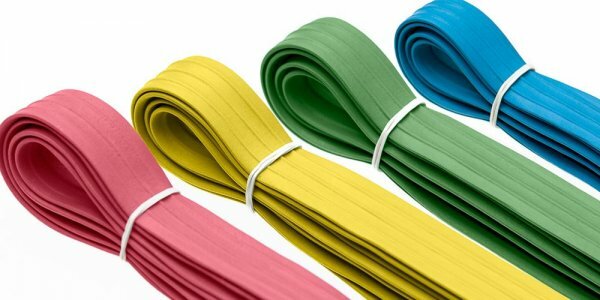 Choose from a broad variety of PMS colors your favorite colored rubber band. All standard colored rubber bands, such as red, black, white and natural are available in most sizes already from 10 kg on. Premium and fashion colors need a 50 kg minimum order quantity. If you want to know in which color your preferred rubber band is available, just find your best rubber band in our product range above. Many applications demand especially wide rubber bands. H+D supplies wide rubber bands made from natural rubber in many different sizes up to 260 mm diameter or 410 mm flat length. Despite a slightly bigger wall thickness wide rubber bands keep their soft stretch and excellent band count per kg. Wide rubber bands are also referred to as oversize rubber bands or pallet bands. These extra large bands are used to secure loads on pallets during movement within a warehouse. Pallet bands are available in up to 900 mm diameter or 1,900 mm flat length. As most of our orders run custom, H+D can produce rubber bands in a variety of sizes in terms of diameter/flat length, cut width and wall thickness. Please check our rubber band Size Chart for your preferred rubber band sizes. After latex has been harvested from the rubber tree (Hevea brasiliensis) it is purified and combined with certain acids to form rubber slabs. These slabs are first squeezed to extract excess water and then machine cut into small chips. Ingredients, such as sulfur to vulcanize it, color pigments, and some other chemicals that affect the elasticity of the rubber band are added. The rubber chips are heated and fed into an extruder that forces the rubber out in long, hollow sleeves of a determined diameter and wall thickness. Next, these rubber sleeves are cured in large ovens by pulling them over aluminum poles called mandrels. The cured rubber sleeves are finally fed into a cutting machine and sliced into the finished rubber bands. What is a rubber band made out of? How many rubber bands are in a pound? Do rubber bands have latex in them? How do you measure the size of a rubber band? Each order is custom and manufacturerd according to your specifications. Order quantities should therefore reflect industrial demands.